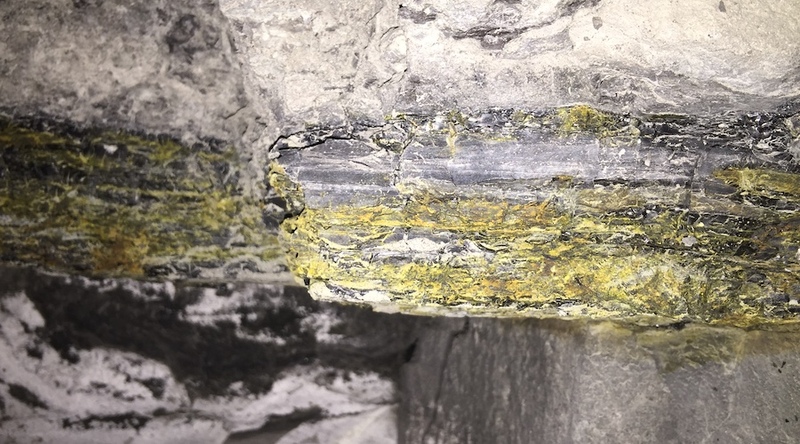 Uranium-Vanadium Seam. Photo by Western Uranium Corp.
“Increased demand for vanadium in high-strength steel and accelerating battery metal demand for vanadium flow battery applications has driven vanadium prices from USD$10 to USD$30 during 2018. This large price increase is driven by a global supply deficit, and most notably new Chinese building code standards requiring vanadium rebar strengthening effective next month (November 2018). China, the world’s largest vanadium producer and vanadium consumer, has exacerbated the supply deficit by becoming a net importer through the consumption of vanadium supply that was formerly available to end users from other countries. Consequently, Western is in discussions with multiple potential customers and joint venture partners who are requesting ore samples,” the company stated in a press release. The Colorado-based miner explained that it is accelerating production planning at the SMC in anticipation of sourcing an agreement sufficient to baseload it. “In conjunction with re-opening the SMC, Western plans to further define the existing high-grade vanadium resource that has been identified on this property,” the statement reads.